A graduate of Faculty of Land Engineering at Gdańsk University of Technology. He received his PhD in technical studies in 2004 having written a dissertation The Influence of Storm Inlet’s Parameters on the Efficiency of Superficial Dehydration of Roads and Streets. 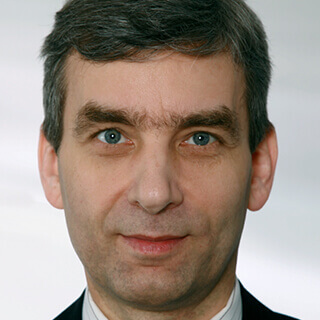 He is the author of Road Dehydration (2000, 2002, 2006 and 2009) published by Wydawnictwa Komunikacji i Łączności and a coauthor of Tables for the Calculation of Hydraulics Fluid Flow in Closed Conduits (1997) and The Influence of Storm Inlet’s Parameters on the Efficiency of Superficial Dehydration of Roads and Streets (2004) which were published by GUT Publishing House. In 2002 the first edition of Road Dehydration was awarded a distinction by Minister of Infrastructure. Apart from books he publishes articles in specialist magazines. In his professional work he deals with autonomous design of roads and road dehydration as well as with commissioning and supervising design work in this area. I hereby give my consent to have my personal data processed for marketing purposes in accordance with article 6, section 1, item a) of the general data protection regulation dated 27 April 2016 (Official Journal of the EU L 119 dated 04.05.2016). I hereby give my consent to RETNECJAPL Sp. z o.o. to use telecommunications terminal equipment and automated calling system for direct marketing purposes in accordance with the Telecommunications Law Act dated 16 July 2004 (Journal of Laws No. 171, section 1800 as amended).